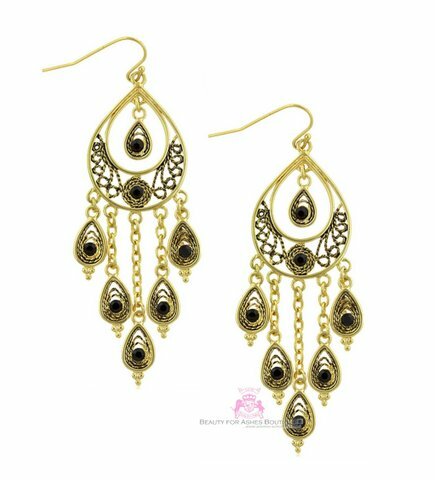 These beautys are intricately made with filigree teardrops imbedded with eyes to see peacock feather motifs. Chandelier earrings measure 3" long including the fish hooks and just under 1" wide. Yellow Gold Plating over brass. These are very pretty earrings.